Recently, Iam working for a Data Visualization project in my telecom field using a software called Touch Graph. Unfortunately it supports Facebook application too. Touchgraph Facebook Browser – This is the online Facebook network visualization tools, at least in my experience, and does a pretty good job of showing smaller networks. 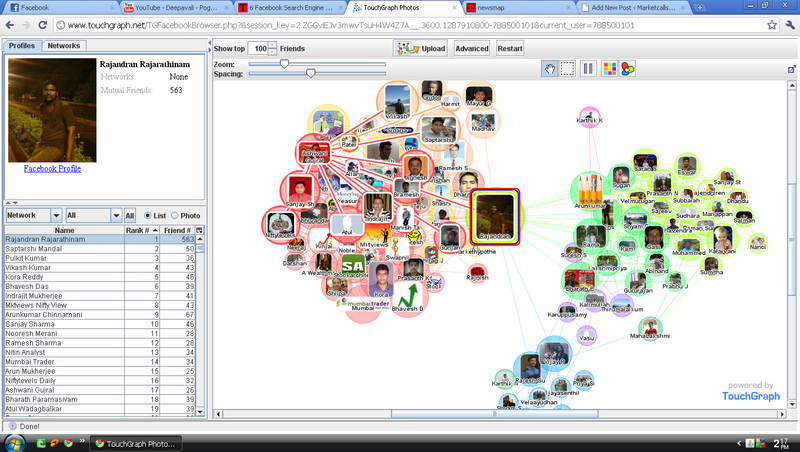 It is a perfect tool to visualize among your facebook friends how you people are interconnected. You can filter by network like cities or Universities and make other aesthetic adjustments using touchgraph browser. Your network can be displayed as images on the left or in tabular format. Apparently I am blue network deficient. The above Picture shows how Me and my facebook friends are interconnected. When i clicked over Ashwani Gujral’s link it shows the mutual friend relation ship between me and Gujral and also shows how they are interconnected. Do you able to find yourself in my Data Visualization graph? Not yet? Then Connect to my Facebook Profile! 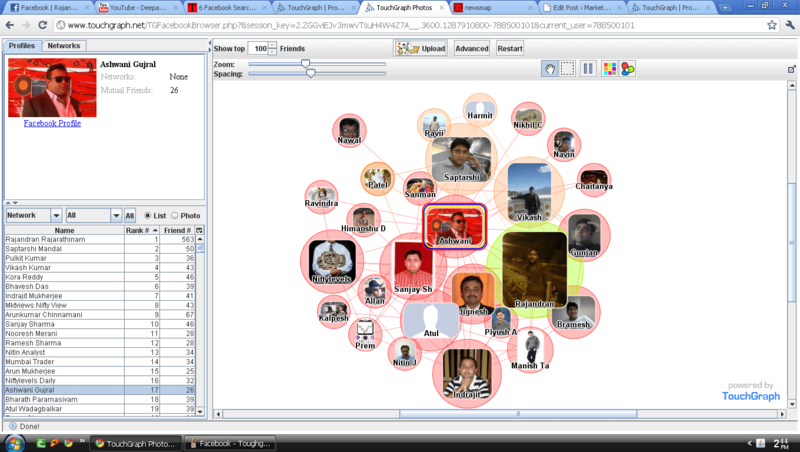 2)Login to your Facebook account to allow TouchGraph to display your friends and groups. 3)Disable popup blockers to activate links back to profile pages.